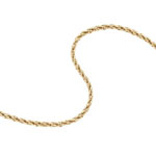 Whether you're shopping for yourself or for a gift, necklaces are always a great choice. 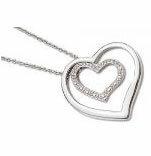 The collection of sterling silver jewelry at Crown Jewelers includes both traditional and trendy necklace designs. 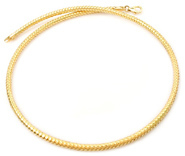 If someone you care about is a fan of gold jewelry, we have a great collection of diamond necklaces set in both yellow and white gold. 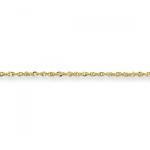 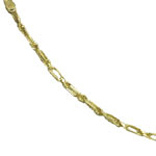 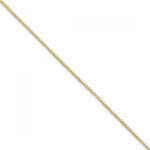 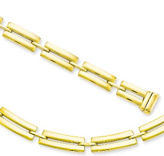 We also carry chains in all lengths and styles to wear with your favorite pendants. 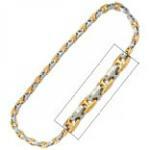 Be sure to check out our other jewelry offerings. 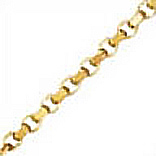 We have everything from bridal sets to chandelier earrings.